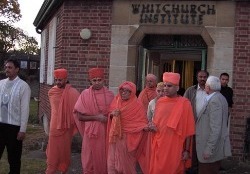 The charity Shree Swaminarayan Satsang first opened its door to devotees in November 2002. 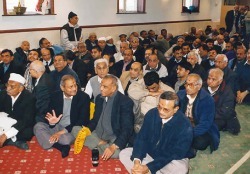 The Mandir itself was small as the previous use of the land was as a community hall. Many gathered on festivals and prayer times but as the years went on the need to expand grew. The restrictions of holding festivals on a grand scale and the sabha areas for males and females becoming small made it necessary to look for another location not too far the existing. 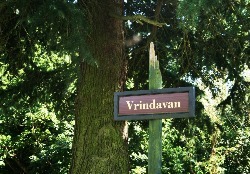 In 2005, the purchase of the current 17 acre site was done. 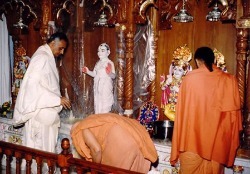 An old and disused health centre got converted into a beautiful Temple and in May 2006, the doors once again welcomed many devotees to divine abode of Lord Swaminarayan. 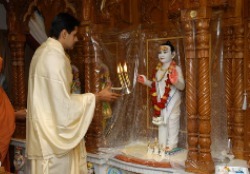 The separate ladies Temple became a unique nature of the Mandir itself. The Temple complex comprised of many facilities such as tennis courts for sports, ample car parking spaces, rooms for staff and two function halls that caters for many Hindu services including wedding and engagements. With a large onsite kitchen facility it became prudent to deliver sanctified foods to the devotees who used the onsite facilities. In developing the area, the children playground first came into existence to ensure that when our future generation attend the Temple then it is to pray and enjoy the environment. The Temple consists of acres of woodland and open spaces and to maintain and utilise this beautiful area is something that has been constantly been developing. From planting trees and shrubs to creating usable walkways has been key of recent times.